For most people, there comes a point in life where they will need to be involved in the arranging of a funeral service for someone close to them. This is not something that we are well prepared for in our culture, but with the right knowledge and resources, it can be a stress-free event that assists in the healing process. When sending a loved one off, doing it in a way that they would’ve appreciated and one that is a true representation of their spirit, can be a cathartic experience. In Australia, there are several different routes that you can take for organising a funeral. 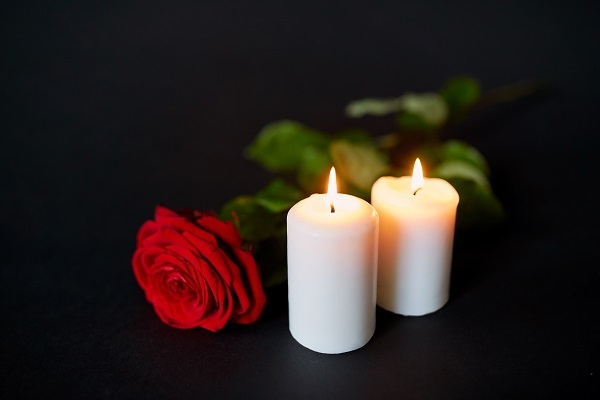 With a lot of options for low cost funeral services in Melbourne, it can be tricky to decide on which is the right one for you. At Fixed Price Cremations, we offer affordable cremation services and have found that many people wanting a simple and inexpensive service as an alternative to a traditional funeral couldn’t be happier with this option. An advantage to selecting a cremation over a burial is that the average cost of a cremation is much lower. As part of our service, we also provide cremation urns, which gives loved ones the opportunity to spread or keep the deceased’s remains in the most appropriate way possible. Today, we share with you 5 tips on how to find affordable cremation services in Melbourne. If you are pre- planning a funeral for yourself, check out our blog post titled Top 7 Reasons to Pre-Plan Your Funeral in Melbourne. 1. Take Your Time Looking Online: When deciding on which company to settle on for an affordable cremation service, it is a good idea to take that little extra bit of time to find the right one for you. Do a google search and visit a few websites to see which one looks and feels right. 2. Look at Reviews: A great way to find out what kind of experience you are in for with a company is to look at reviews on the internet. Sources such as google take reviews from previous clients that you can read to get a better idea of what others thought about the service they used. Keep in mind though, it is important to take all reviews with a grain of salt. 3. Make Sure There Are No Hidden Costs: The price advertised online can sometimes not be the final price for a funeral service. Many companies will add in additional costs for certain things that you may feel should have been included in the cost. Do some further investigation to find out what your final spend will be. 4. Check out the FAQs: Most websites contain a section for Frequently Asked Questions that may answer any other questions you have. 5. Call up if You Want to Know More: And finally, if you still need more information or just want to speak to someone from the team to get a better idea if a funeral organiser is right for you, contact them directly. Finding affordable cremation services in Melbourne may be easier than you think. Follow the tips above and you will be covering all your bases. If you still feel unsure, contact us on of our caring team members on 1300 262 797. We offer our cremation at a set price of $1,695, including GST and take care of all the details. What’s your reason for choosing a low cost cremation service? Let us know in the comments.